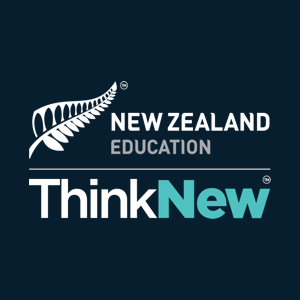 The Generation Study Abroad Travel Award recipients may be selected to become Kiwi Ambassadors and help Education New Zealand take the New Zealand study experience to the world. As a Kiwi Ambassador, students will be asked to share their study experience through blogs, pictures, videos and snaps on our social media channels during their semester in New Zealand. Education New Zealand looks forward to working with the Kiwi Ambassadors to share a truly memorable #StudyinNZ experience. Generation Study Abroad students come to New Zealand for a great education and an incredible adventure. It's a place where learning is personalised and easily tailored, where independent thought is welcomed and innovation is encouraged. In New Zealand students discover new ways to learn, gain new experiences and get a fresh global perspective. Education New Zealand and New Zealand tertiary institutions are supporting Generation Study Abroad students with excellence and travel awards. There are three different scholarships available for semester study in New Zealand. As a country partner to the Generation Study Abroad initiative, Education New Zealand offers US$2,000 to help students fund their flight to New Zealand. All eight (8) New Zealand Universities offer $500 Excellence Awards to US students studying for a semester at the universities. Participating New Zealand Institutes of Technology and Polytechnics offer $500 Excellence Awards to US students studying for a semester at an Institute of Technology/Polytechnic. Copy of your US Resident visa (for non-US citizens only).